HDAMA, which is based on AMD® Opteron can simplify business transition and minimize integration complexity by offering simultaneous 32- and 64-bit high performance computing. HDAMA can easily transit to 64-bit technology at user's desire pace without sacrificing 32-bit performance, and provide a seamless integration with 64-bit application. Another important feature of HDAMA is to support up to 16GB DDR 400/333 registered memory by adding eight memory DIMM slots. AMD® Opteron integrates a DDR memory controller into the processor, can greatly increase bandwidth and be directly available to the processor at significantly reduced latencies. The performance is more spectacular in multiprocessing environment, and HDAMA is the only server board to provide eight memory DIMMs to demonstrate the amazing capability. 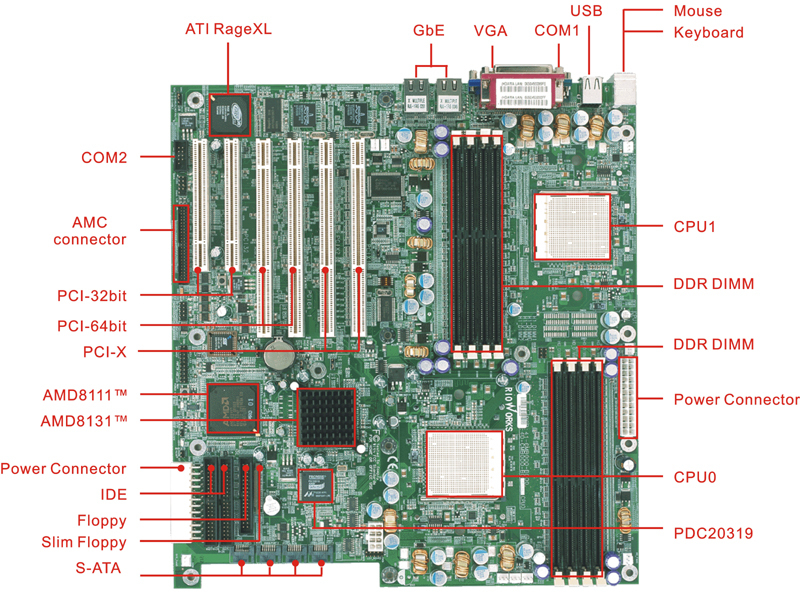 HDAMA displays all the wonderful features of AMD® Opteron, helps to simplify today's IT environment and allows business to grow into 64-bit computing. SSI form factor with size: 12" X 13"